The Gravel Blaster 12" Bicycle makes learning to ride a lot cooler. 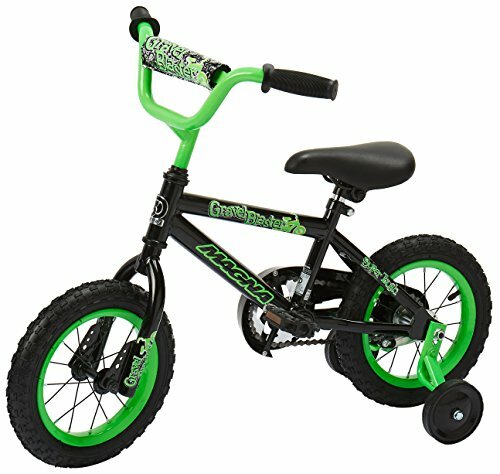 This BMX style bike, comes complete with handlebar pad and bold colors. Fun decals decorate the sturdy frame. Other features include a rear coaster brake, an adjustable seat, and a chain guard. This kids' bicycle also comes with removable training wheels for little learners.